Johnson’s Division keeps up its relentless attack against Mitchell and Whitaker. 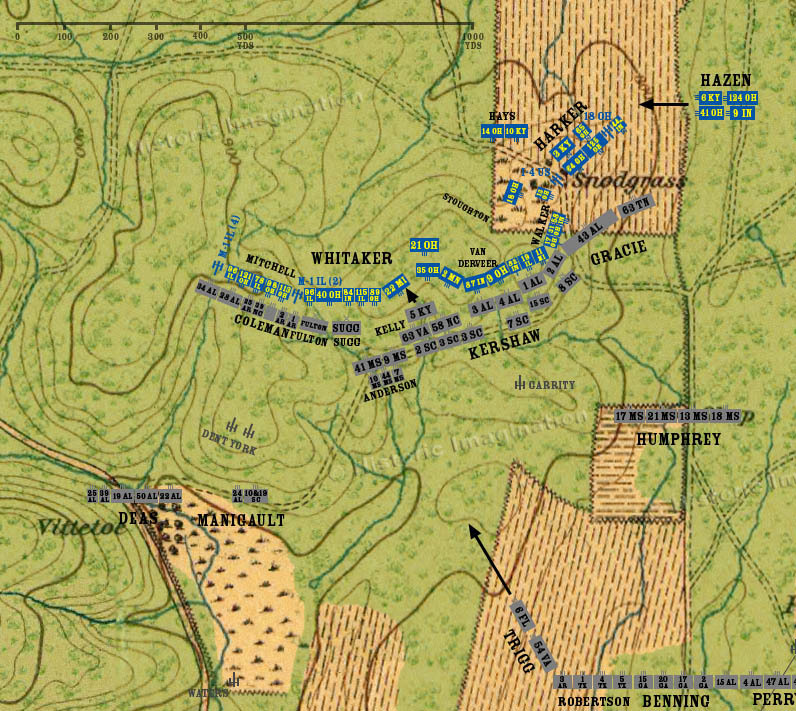 The 5th Kentucky of Kelly’s Brigade attacks Hill Three and pushes back the 22nd Michigan to the opposite crest. Gracie keeps up the pressure on Hill One and Hill Two, however, the 43rd Alabama and 63rd Tennessee are severely punished in the cornfield near the Snodgrass cabin. Hazen’s brigade nears Snodgrass Hill.